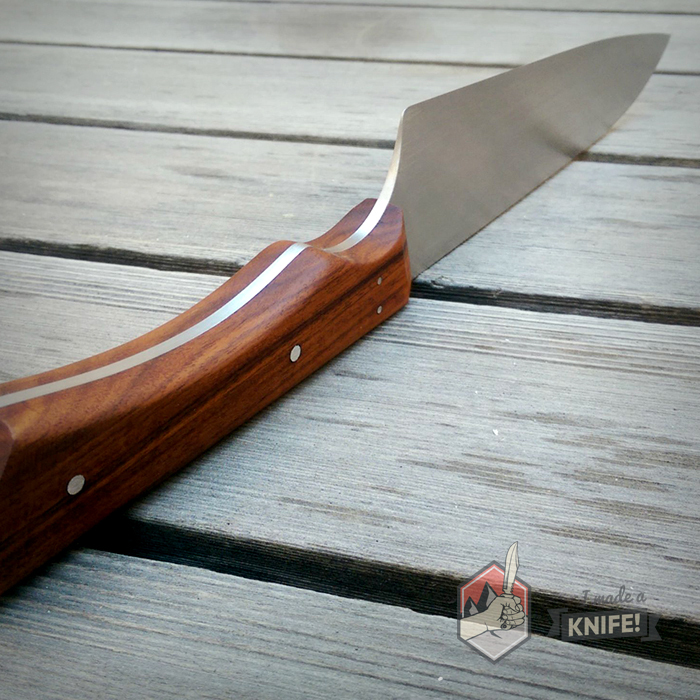 The Only Article On Knife Grinds You'll Ever Need - I Made A Knife! 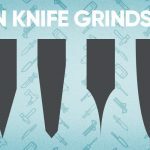 The knife or blade grind refers to the profile that’s been ground into the blade. If you were to point a knife directly between your two eyes, this is the shape you would see—just don’t look too close. When you grind a knife down from its original rectangular shape, you’re creating bevels that eventually meet at a point. These bevels are what forms your knife’s cutting edge. 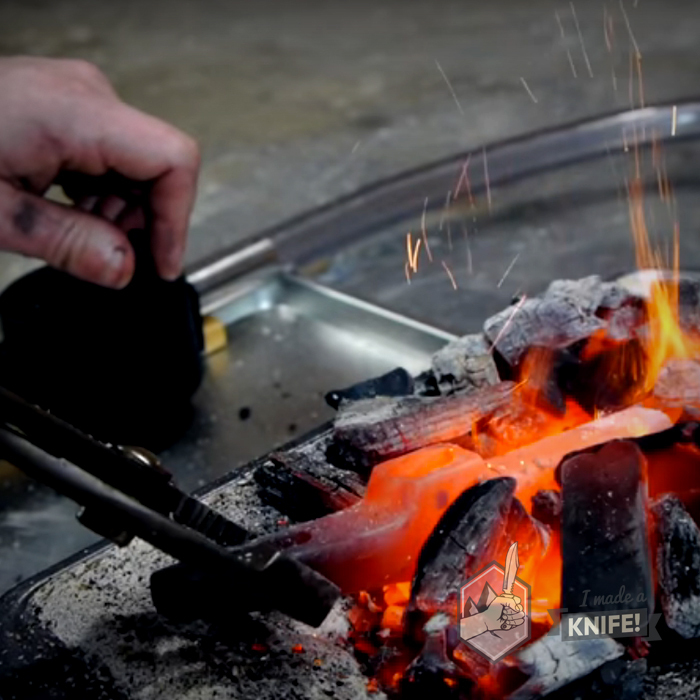 There are a lot of variables and factors that play into a knife’s grind: weight, strength, sharpness, durability, intended usage, drag, and so on. In choosing a grind, you’ll mainly want to look at the difficulty first, then decide based on what the purpose of the knife is. As a rule of thumb, the more acute (closer to 0°) the angle, the sharper it will be and the better its cutting ability. Conversely, your knife will generally sacrifice weight and strength the more acute you go; thus reducing its overall durability. In addition to taking inventory of your tools and free time, you’ll want to make the above considerations to help you choose the right grind. Full Flat Grind – The blade is ground all the way from the cutting edge to the spine in one long bevel, thus forming a “V” shape (insert pop up picture of guy with v shape lats). Evidently, this simple type of grind removes a lot of metal, making it a lot of work, but also quite sharp in the end. This keen cutting edge comes at a price: the sharper or more acute your bevel, the less durability the edge has. In the vast majority of cases, a small secondary bevel is ground in along the cutting edge. You’ll notice that this type of grind slices easily as there is less drag. That said, it’s also a lighter knife which means it won’t hold up to heavy use for long. If you rummage through your kitchen, chances are that most of your commercial chef knives are flat ground. Though they may get full quicker, the advantage to a simple grind like the flat grinds is that they’re easy and quick to sharpen. Again, this comes with the sacrifice of edge durability and resilience. Sabre Grind – (AKA “zero sabre grind” or “scandi”, short for “Scandanavian” grind) – The sabre is the same as a flat grind, except the bevel doesn’t extend all the way to the spine. Instead, the sabre grind will typically only be ground to around the mid-way point on the blade. 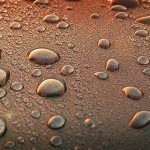 This additional uniform-thickness metal on the top portion of the blade will add strength and weight, thus making it quite suitable for military as well as heavy use. As with the flat grind, a secondary bevel will often be used. However, when it’s not, it’s what knife makers refer to as a scandi grind. 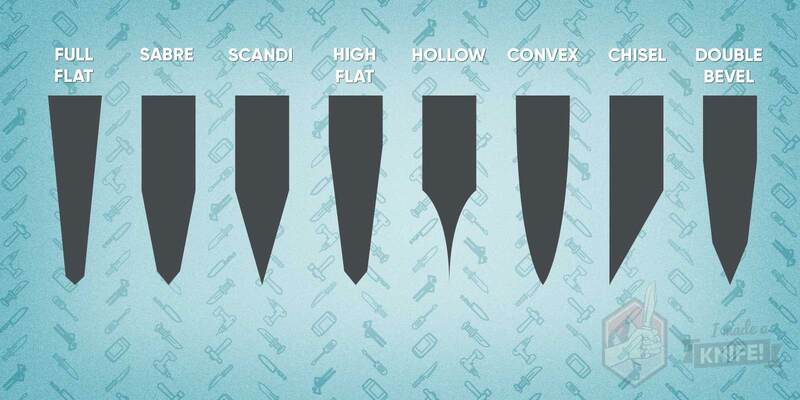 Simply put, a scandi only has the one flat bevel extending to the centreline, whereas the sabre grind will have the smaller secondary bevel along the cutting edge. High Flat Grind – The high flat grind is simply a hybrid of the two above. Instead of the bevel going to the centreline, it extend upward a little higher (but not all the way to the spine). It’s used to retain some of the weight and strength that a full flat gives up, while achieving a keener angle than the sabre grind. 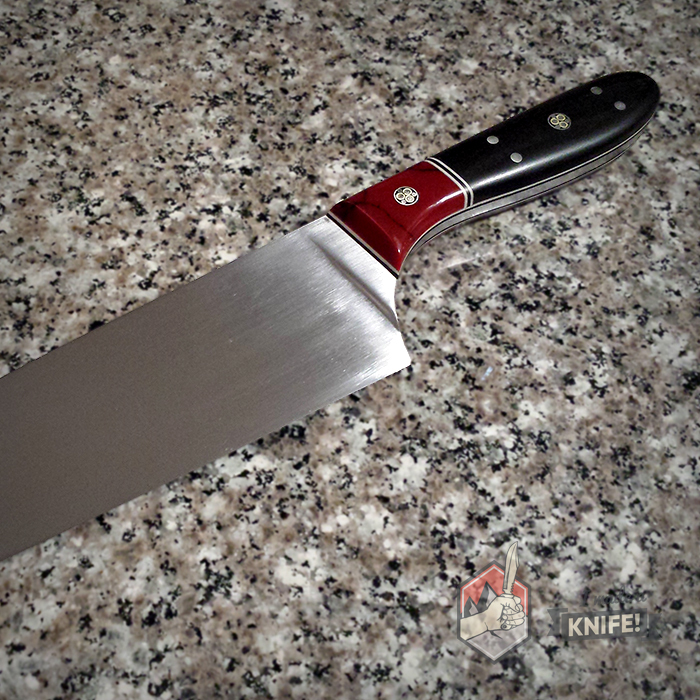 Hollow Grind – The knife is ground to create a very sharp but fragile concave bevel cutting edge. You’ll often see them on straight razors. And if you have experience with straight razors, you’ll know they need constant stropping for maintenance. These inward-facing bevels may extend all the way up the blade or just a portion of it. The sides curve inward until they meet. 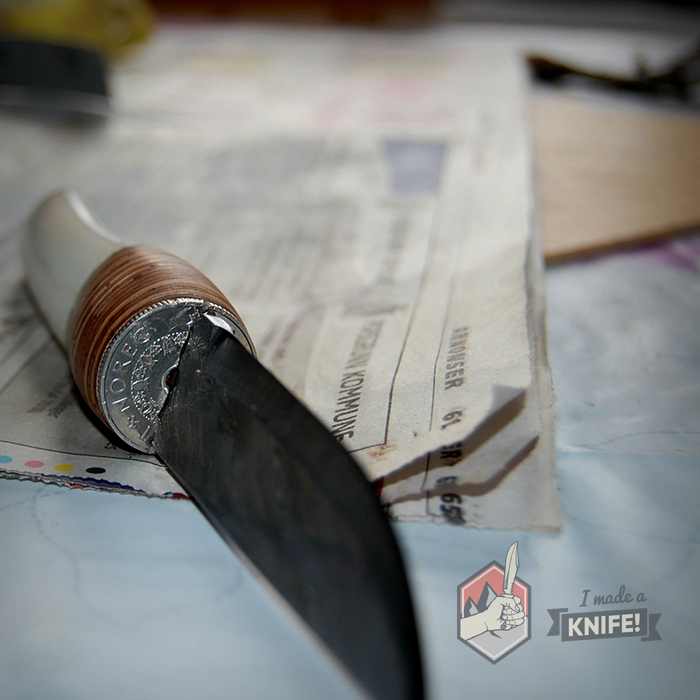 This type of grind will often see use in the hunting community as skinning and dressing knives—in fact, our good ole’ Bowie Knife is a hollow grind! 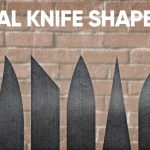 Because the sides are ground to curve inward until they meet at a point, the knife’s edge is extremely fragile and not durable. This grind isn’t recommended for beginners because of its difficulty and specialized use. 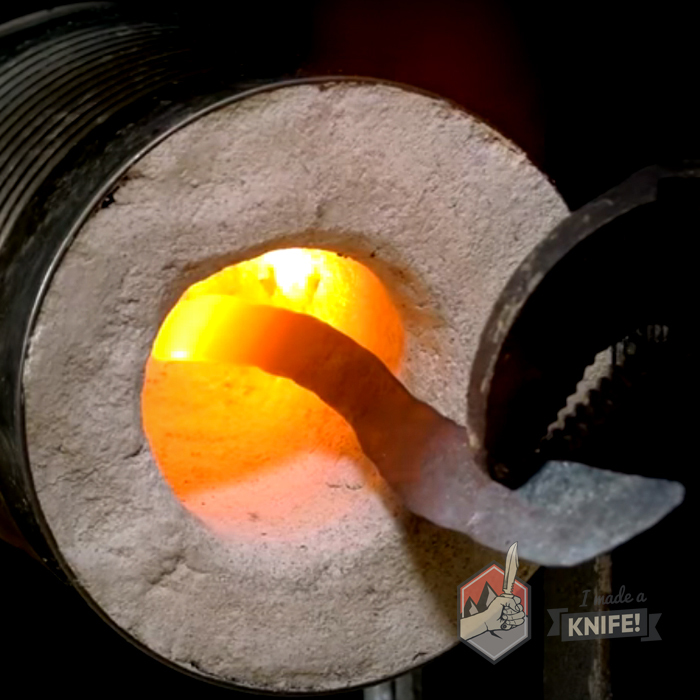 Convex Grind – (AKA “axe grind” or “Hamaguir”) – As the name suggests, this is the opposite of the hollow grind. Instead of straight edges like the flat grind or edges that bow inward, these ones actually curve outward in a convex fashion, resembling the likes of a clamshell. The idea is to keep as much metal behind the edge as possible while still maintaining an effective and honed cutting edge. You’ll see them used on axes a lot for chopping as the shape helps reduce drag as it splits through the wood. As such, there are better grinds used for slicing if that’s what you’re looking for. Because it’s difficult to produce on a flat stone, this grind is often achieved by using a slackened belt on a belt grinder. It’s hard to create, but an even bigger challenge to maintain and sharpen. 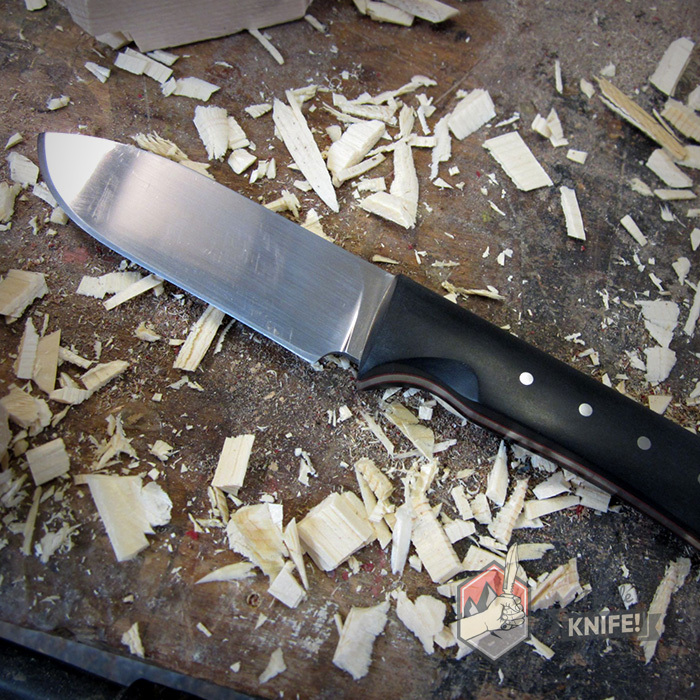 Chisel Grind – (AKA “zero bevel grind” or “single bevel grind”) – Just like a—you guessed it—chisel, this knife edge is flat on one side and the opposite side ground between 20-30 degrees to about halfway up toward the spine. This grind makes for some wickedly sharp chef’s knives and is often seen used for Japanese culinary knives. Of course, if you’re deciding on this grind, you’ll have to take into account which is your dominant hand so you put the cutting edge on the right side—if you’re right handed, the grind will be on the right. In some styles, the flat side will actually be ground to be slightly concave (see: hollow grind) so as to reduce drag and stickiness to help the food separate easily. This style is called urasuki. The chisel bevel is actually quite practical for working with wood as well. The edge is sharp and as such will need to be sharpened and maintained more often than other grinds. 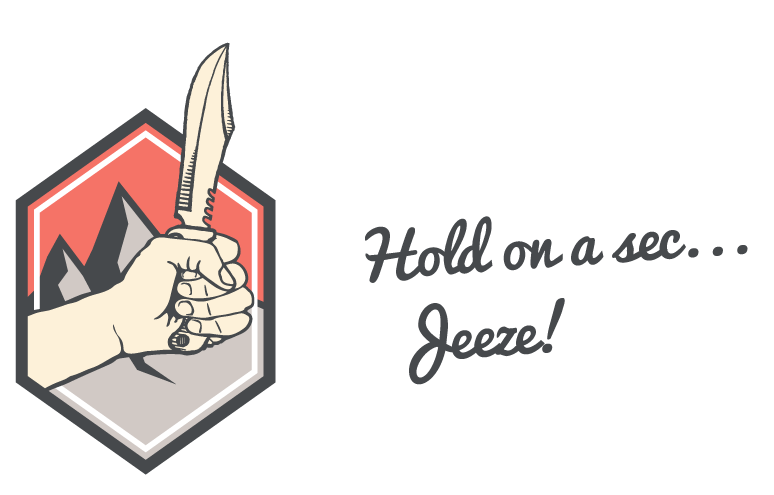 Double Bevel – (AKA “compound bevel”) – Visualize the double bevel by picturing the sabre grind, but both bevels are elongated and moved further up the blade. The benefit of a double bevel is that it keeps the blade resilient and resistant to chipping and rolling. As you well know now, increased durability comes at the price of reduced sharpness. The back bevel behind the cutting edge bevel improves the knife’s cutting ability as it’s thinner and more acute than the straight back of a sabre grind, for instance. You’ll see this grind on Japanese swords, like katanas. 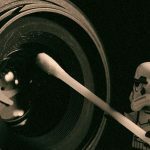 This particular profile helps significantly reduce drag compared to the sabre grind (often used on Western swords) which explains how the katana can slice and dice with ease. That said, Western culinary knives sometimes employ a double bevel with an edge bevel angle around 15 degrees and back bevel of around 30 degrees.